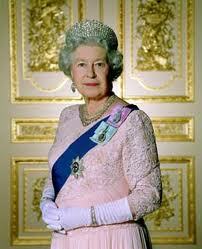 First of all, congratulations to the HM the Queen for achieving her diamond jubilee. In this modern world of increased and massive change, uncertainty and general dislocation for many, the Queen has been a source of constancy and support. All of the celebrations got me thinking about CAEs. When I was a younger auditor I looked at the more senior, shall we say, members of the internal audit profession as generally being out of touch, looking at yesterday’s problems, using yesterday’s ideas and thoughts. Now that is not unusual as most young professionals, of whatever profession, I am sure think like that. In internal audit’s case however, I think that the position is uniquely different for two reasons. First, internal audit has changed beyond all recognition in the last 10 years. It has moved from being a refuge for the incapable or transition for accountants from practice to business, to an activity in its own right. The profession, led by the public sector I must say, has taken its place as a professional function that organisations (at least any one that is serious about performing, being accountable and well-governed) cannot do without. The actual role has moved through an initially vague notion of being ‘risk-based’ (whatever that means!) from asking questions like ‘are we doing things right?’ to asking the more important question ‘are we doing the right things?’ [to achieve our objectives]. There is still much to do with so much of the profession stuck in aspic of operational financial controls, and needing to emerge into the light of business risk (of which operational financial controls are but one tiny part). This is happening and the UK and global institutes are getting there on this agenda. My point here is that any CAE who stays still for too long in this profession and looks inwards will lose the plot and become, quickly, dated and tired. Second, there is this weird obsession with independence in form over fact that seems to occupy standards and rule-based practitioners in our profession. The idea that you cannot be paid by the organisation you are independent of, you cannot review something you reviewed before. ‘You won’t be independent!’ will come the cry. Nonsense. Independence is a state of mind. I can come at the same system two years later and challenge its achievement of objectives and management of risk just as much as I could first time around. Being paid by a third party will not make me more independent, in fact being paid under a tendered contract will make me less so, as it brings in a ‘customer’ relationship with my client. These two issues bring me back to my jubilee point. Can you imagine what a diamond jubilee CAE would look like? You’d think them to be duffer, out of touch, unable to do the role expected of them. Or would you think they know all of the risks and the challenges, they have a wealth of experience and trust them more? I think in our profession it has changed so much and is so obsessed with change as a supposed route to independence that we, as a profession, are in danger of losing the benefits of constancy, experience, support and sheer gravitas that a long-standing CAE can bring. Don’t get me wrong I have seen my share of CAE duffers, but a commitment to CPD and a constant thirst for newness and challenge should prevent me, I hope, of ever becoming one of those! I guess knowing how long to stay in a role for any CAE is a challenge. I have always taken the view that I would stay as long as the work was interesting and the organisation needed me. How do you decide?